71 very excited 2nd Years gathered at the gates of the Bower, at the very unsociable hour of 2am, on Friday, February 15th, to depart on a four-day tour of Paris. They loaded their suitcases on to buses before being waved off (some for the very first time) by nervous mams and dads. All the girls were in fantastic spirits and the chat, laughter and song began before the bus got to the motorway. The girls had a jam-packed schedule to enjoy over the four days and it began with a fantastic first day spent in the happiest place on earth; Disneyland. With students and teachers alike functioning on minimal sleep, it really was a great start to the tour. Glorious sunshine greeted the girls on their arrival and lasted for the duration of their stay. The obligatory rollercoaster rides of Space Mountain, Indiana Jones and Thunder Mountain certainly ensured the adrenalin was pumping and no one was grumbling about lack of sleep. 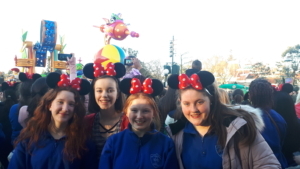 A sea of students in Minnie Mouse ears gathered at the aptly named Casey’s Corner at 5.30pm to enjoy the parade of much loved Disney characters before dinner on site at Planet Hollywood. 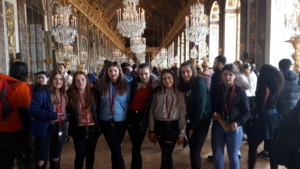 Day 2 allowed the girls to experience the splendour of the Palace of Versailles, as they got to walk in the footsteps of King Louis XVI and Marie Antoinette. On the third morning the group drove into the centre of Paris where they got to enjoy an excellent guided bus tour of the city’s sights which included the Champs Elysees, the gothic cathedral of Notre Dame and the Arc de Triomphe. In the afternoon, the girls got to explore and interact with the very many exhibits on display in Europe’s largest science museum, the Cité des Sciences et de I’Industrie. 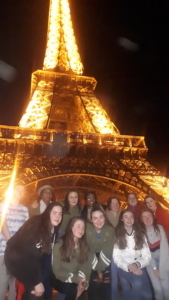 The evening’s excursion was perfectly timed as the bus pulled up in front of the city’s most famous landmark; the Eiffel Tower, just in time to see the magnificent light show that happens on the hour, which allowed for beautiful selfies and snaps to be sent to those at home. 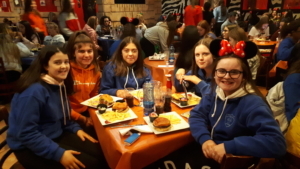 The final day came around far too quickly and after the girls had packed for their return journey home….hoping their bags were still within the airline’s weight restrictions after presents and mementos had been purchased, the group enjoyed a relaxing cruise along the Seine, where they admired the architectural treasures of the city. After such a busy schedule one would be forgiven for using the bus journey back to the Bower to catch up on some sleep, but even as the coach drove along Retreat Road the songs were still being belted out. The teachers who travelled on tour would like to commend all the girls on their behaviour throughout. It was a fast-paced few days but, the students’ enthusiasm and energy was infectious. 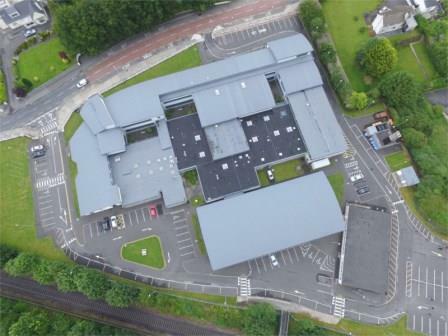 They were a credit to the school and we hope they made memories that they will take with them long into the future.